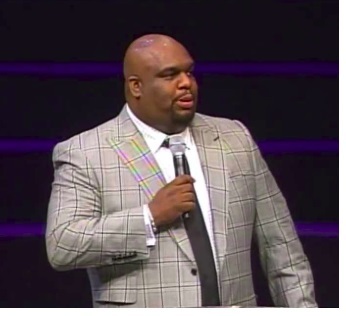 Last week Pastor John Gray was on the talk show “Sister Circle” as a guest. When referencing his wife, he spoke about how immature he was and how much pain his wife endured while he navigated the growing pains of manhood. Despite having their own children to raise, far too often, the African-American male shows up for their marriage and/or fatherhood late. Why is it acceptable for men, although of age, to still exhibit immature, adolescent behavior on a regular basis? Gray spoke of it in a positive manner, but the truth is this “Peter Pan Syndrome” which includes the growing phenomenon of black men who refuse to grow up is abuse. Men who expect their wives to raise them are abusing – abnormally using – their spouses. It is an expression of what has been deemed the Mother Wound; when adult men need, expect and encourage mothering from their significant other. Wounded men often seek out women to heal them, and women can be great helpers and allies, but projecting one’s unmet mothering needs (and related psychic injuries) onto a woman is a recipe for disaster for both the man and the woman. I married a woman two sizes too big. I have to grow into [her]. She’s a coat. I still can’t fit her. She’s bigger than me and she’s had to cover me while I grow up. I gotta grow into her. She’s a covering, not a lid. Because if a man marries a lid she’ll stop your dream. But if you marrying a covering, she’ll push you to your destiny. Let me tell you something, my wife has endured more pain birthing me than both of our children. She has sacrificed these last eight years, uncovering the painful areas of my manhood and covering the areas that could have exposed me. As a couple, both partners should grow together. They may do it in different areas and at varying times during the union, but according to the pastor, his wife endured his immaturity for eight years. Mature women envision a partnership, not motherhood for her marriage. While there will be times when each person has to cover the other, wives are not a second womb nor are there shoulders broad enough for men to stand on. The black wife is certainly are not their husband’s mother! Too often, black women are expected to endure unspeakable amounts of pain, physical and emotional suffering all in the name of love. Although the devotion may never be reciprocated, wives (and lovers) are expected to welcome immaturity, infidelity and trauma with unquestioning loyalty, unconditional support and undying love. Thank God it worked out for Mrs. Gray, but unfortunately, this should not be the standard nor expectation for any woman. Having the perfect relationship does not mean that the partners are perfect, it means accepting one another’s flaws and laughing through life’s mistakes while reaching for a common goal. It is never just one person doing all of the stretching or heavy lifting. As a mother, I must be available for their stressful calls, their troubles, and the times that life presents them with difficulties, allowing and encouraging them to make decisions on their own so that they will learn from their own mistakes. It is my duty to help them find confidence and know how to maneuver through the financial world and overcome adversity. If I can follow through on all of these motherly responsibilities, I will not have time to spoil a child. Raise your daughter, love your son has been associated over the years with African-American women who seemingly favor their sons over their daughters. It suggests that African-American mothers are harder on their daughters than they are on their sons and that African-American mothers spoil and favor their sons simply because they are males. This cliché has traveled throughout many generations and has become a myth that is believed to be true within our community, even to this day. Sorry Pastor Gray, the Peter Pan Syndrome does not need a celebration, it needs correction. This syndrome affects people who do not want or feel unable to grow up, people with the body of an adult but the mind of a child. Perhaps the most famous example is the King of Pop, Michael Jackson. As he grew up, he wanted to regress back into his childhood. He named his estate the Neverland Ranch and was often seen dressed up as Peter Pan. This did not work for him and likely will not work in any real relationship. Wives are not their husband’s mother! It is time for men to grow up and show up.